Twitter has an average of over 300 million monthly active users, making it a great platform to promote and share your Teespring products with the world! Most brands and organizations have Facebook accounts already, but if you’re new to Twitter you can learn about getting started here. Using Twitter to promote your products is very easy…but there are a few things you should keep in mind to get the most out of your tweets! Always include a link to your campaign in tweets! 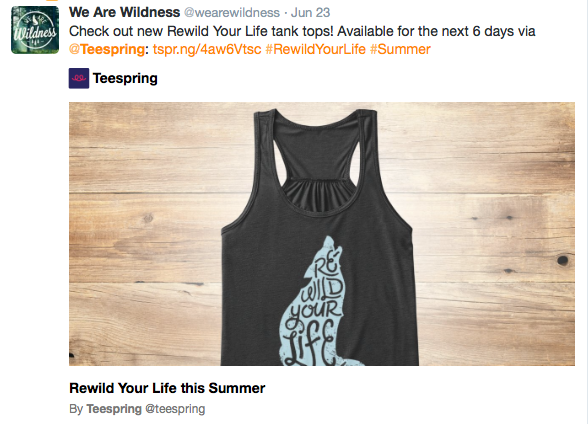 Below are some examples of different ways Teespring sellers have promoted their campaigns on Twitter. Beyoncé regularly tweeted about her Teespring campaign, included a URL to the campaign page, tagged Teespring’s Twitter account and reminded fans about the time limit to create a sense of urgency. This is another example of a good promotional tweet; We Are Wildness included a link to their campaign, relevant hashtags, an eye-catching image of products available in their campaign, and reminded followers to purchase their item before the campaign ended. 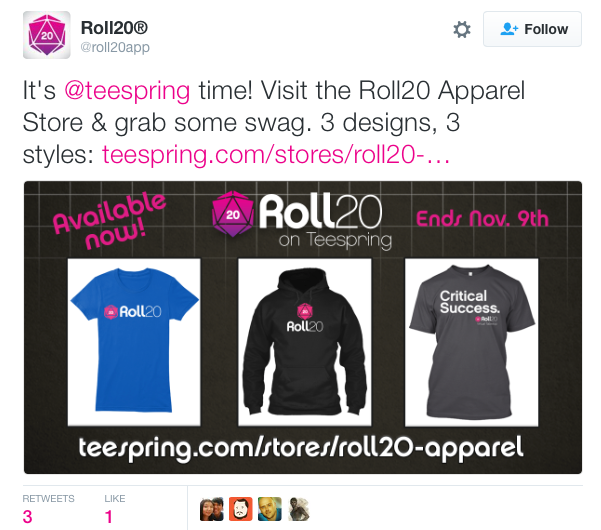 Roll 20 tweeted daily to remind followers to get their shirt before the campaign ended. They also made sure to include eye-catching pictures and a link to their campaign page as well as tag Teespring in their tweets.